You can start building your network from a single UmSITE-TM3 and expand it to a nationwide network. This tower-mounted base station may serve as a simple BTS or a complete network-in-the-box (NITB). As a NITB it integrates BSC, MSC, HLR, VLR and SMSC core network components. External connectivity is provided by VoIP (SIP) for voice and SIP and SMPP for SMS. 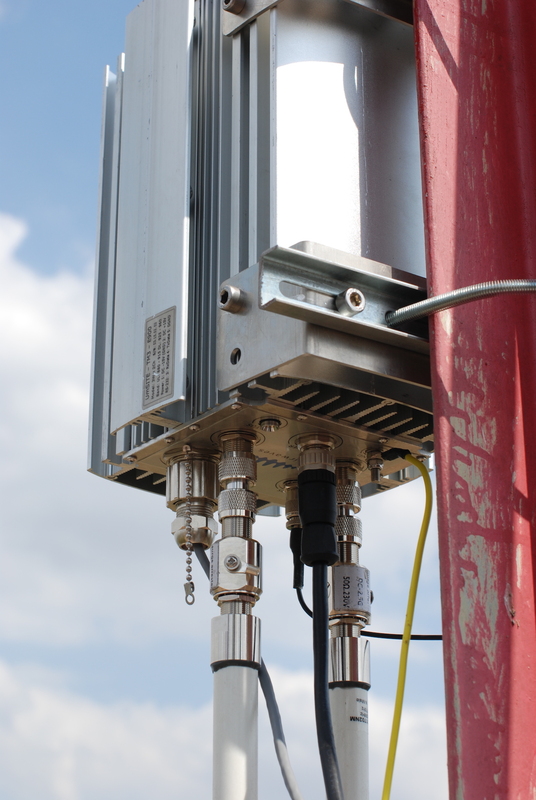 The UmSITE-TM3 has two independent TRX, each with 3W RF transmit power (6W total).